Support for Time Zone, Customizable Home Page and List View Settings, Printable Reports and more..
At iFreeTools, we prioritize our features by listening to our users. Over the past couple of weeks, we have been adding the following features to iFreeTools, based on suggestions from our users..
Support for viewing additional attributes from referenced parent records, in child record's list views. Pop-up selection for reference values. Option to hide Created On, Updated On and Notes in custom Entities. Until now, we had been displaying date-time values in UTC. Now, users can choose to display the date-time values in their time-zone. 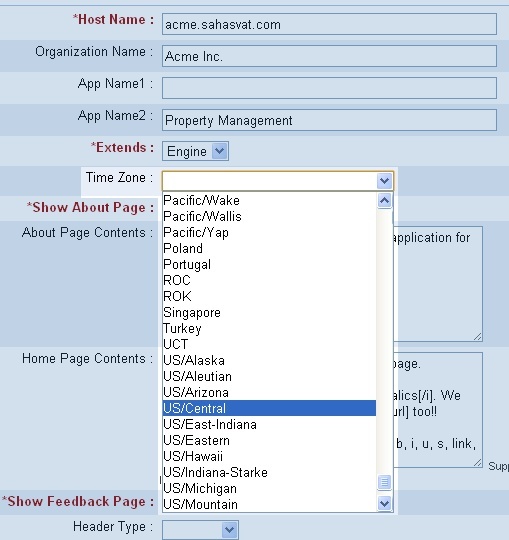 Just select the required time-zone value in Admin > App Settings and have it reflected in all views. You can now configure the home page contents (apart from just the About page, until now), from Admin > App Settings. This will be used as the content of your home page when accessing from your domain. 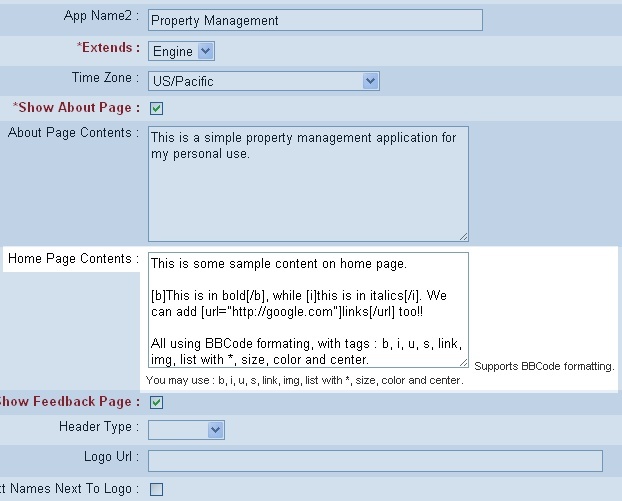 Within the home page contents, you may use BBCode for safe-rendering of HTML content. 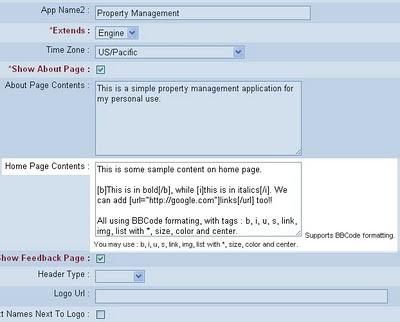 The supported BBCode tags you may use are : b, i, u, s, link, img, list with *, size, color and center. Such a sample content provided in the App Settings is shown below. 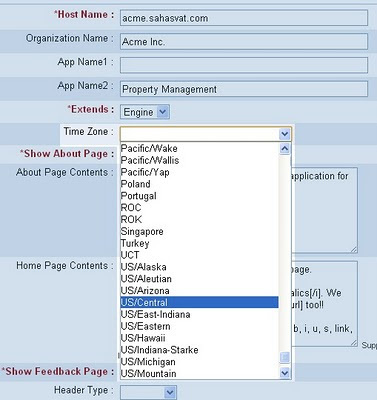 The resulting page when accessed via the configured domain is shown below. 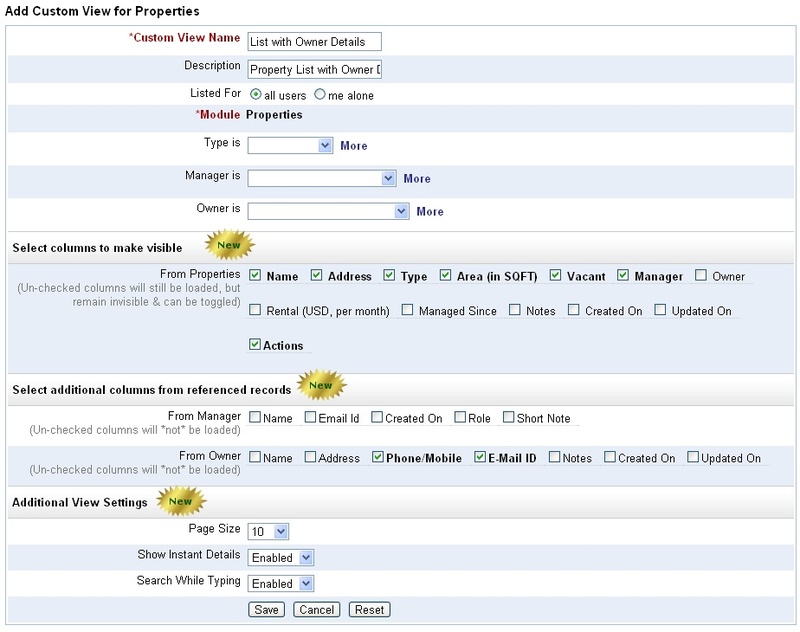 It is typical requirement to view a parent record's attributes along with the child record's attributes in list views - for example, attributes from Account records (parent) shown along with Contact records (child). Earlier we only had a link to the Account record details; but now, you can view values from the Account record right in the list of Contact records. When creating or editing Custom Views, you can select the attributes you want to be displayed and it will get shown in the client. Apart from including the parent attributes in the list views of client (previous item), you can also specify the columns you want to make visible from the client's attributes. Other attributes will still be loaded in the client, but will not be visible. They can be toggled for visibility from Instant Details, as was possible earlier. You can also specify the page-size and optionally disable the Instant Details and search-while-typing features. 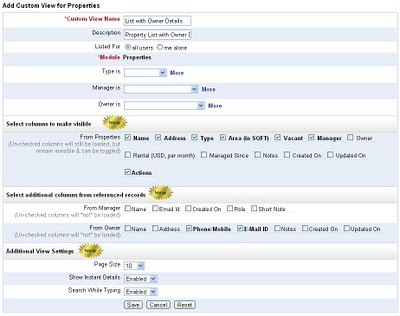 This can be configured at a Custom View level or at the app level from Admin > App Settings. The following image shows the new features of selecting additional attributes from referenced parent records and customizable view settings..
Now all list views and chart views have an option to have a printable view. This view will be without the header, side-bars, footers and advertisements. This feature is accessible from under Options in the list views and as a top-level button in chart views. Until now the reference value selection was possible only from select boxes. While this is fine if the number of values is less, this can be difficult to use in case there are more options from which to choose from. From now on, if the options are more than 20, iFreeTools will automatically provide a pop-up option to choose the reference value. This option will enable selection from a list view, where you can sort and search the records and then select the required record instance for reference. This feature is applicable for iFreeTools Creator - which allows creating custom entities. You may now opt to *hide* the default attributes added to an custom entity, which are date-time stamps for Created On and Updated On and the text attribute Notes. This only hides the attributes and can be re-enabled back again at any time. By choosing to use our products, you show your commitment to us. Our way of thanking you for this, is to listen to your feedback and acting on it, so as to help you use our tools better. Keep sending in your suggestions. iFreeTools CRM on your sub-domain, with rebranding !! Building a simple Issue-tracker application on Google App Engine.. Online.